Yousafzai History Urdu written by Allah Bakhsh Yousfi is another unique and most authentic book on the history of Pashtun nation. Third book of ” Silsila e Tareekh Azad Pathan” which contain complete and comprehensive history of District Mardan, Malakand Agency, District Swat, District Buner, District Dir and Bajaur Agency in Urdu language. 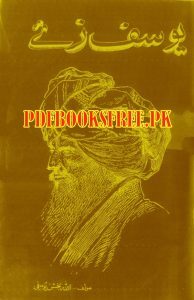 Tareekh Yousufzai book is now available on Pakistan virtual library for online reading and download. Check out the following links to read online or download the complete book in Pdf format for offline reading and references. i need a book about tareekh gigyani tribe of pakhtoon .or tareekh azad pathan (gigyani).urdu .pdf.